What Does “Smart city” Mean? They evolve towards a strong integration of all dimensions of human intelligence, collective intelligence, and also artificial intelligence within the city. The intelligence of cities “resides in the increasingly effective combination of digital telecommunication networks (the nerves), ubiquitously embedded intelligence (the brains), sensors and tags (the sensory organs), and software (the knowledge and cognitive competence)”. Empowerment entelligence: Cities provide open platforms, experimental facilities and smart city infrastructure in order to cluster innovation in certain districts. These are seen in the Kista Science City in Stockholm and the Cyberport Zone in Hong Kong. Similar facilities have also been established in Melbourne. Instrumentation intelligence: Where city infrastructure is made smart through real-time data collection, with analysis and predictive modelling across city districts. There is much controversy surrounding this, particularly with regards to surveillance issues in smart cities. Examples of Instrumentation intelligence have been implemented in Amsterdam. Solar power garbage compactors, car charging stations and energy saving lamps. Finland’s capital Helsinki is piloting smart city projects through city innovation platforms that enable the testing of solutions in an existing urban environment. The area where these pilots take place is the Smart Kalasatama district, where co-creation and agile development take centre stage. Its residents are the initiators and testers of new technology and smart services. Kalasatama wants to become so efficient that its residents gain one hour of extra time per day. Some of the pilot projects include parking places with car charging facilities as well as automated waste collection systems that reduce the traffic of garbage trucks by up to 90 percent. Then there’s smart grids and real-time energy monitoring pilots that aim for a 15 percent reduction in energy usage, and apps that plan the most efficient traffic routes with any type of transportation method. Finnish schools are widely known for their forward-thinking education systems. The curriculums move away from conventional pedagogy towards a more inquiry-based method of learning. Open data innovation, hackathons as well as open app competitions are part of this and are held on an annual basis. Named European Capital of Innovation in 2014, Spain’s second-biggest city, Barcelona, is involved in over one hundred smart city projects and is a global leader in its extensive use of the Internet of Things. 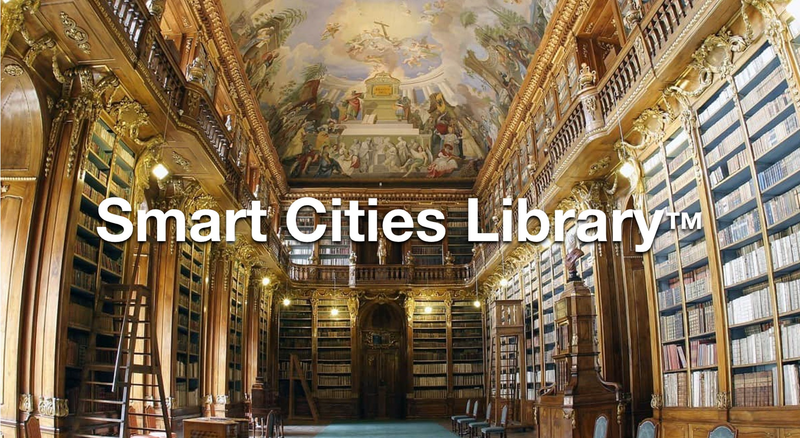 Smart city projects range from smart lighting, the promotion of charging infrastructure for electric vehicles, and Wi-Fi in public transportation systems and public places. Barcelona provides global leadership by hosting the annual Smart City Expo World Congress – supporting the growth of the smart cities industry. The city’s Telecare service looks after its more than 70.000 elderly and disabled citizens by proactively checking on them with the use of sensor technology. Barcelona has smart LED streetlights throughout that are only activated when they detect movement. This leads to energy savings of no less than 30 percent. The sensors in the street lights also collect environmental data while rain and humidity sensors determine the amount of water required to irrigate public parks. Smart garbage bins are only emptied when full and smart parking systems show vehicles to free parking spots, reducing carbon emissions and traffic congestion. Digital bus stops provide real time overviews of bus times, USB charging ports as well as free Wi-Fi. The city’s Smart Urban Platform aims to solve urban challenges by bringing together data from social networks, the city’s information systems and the open-source Sentilo sensor network. Source: What Does “Smart city” Mean?